Time for some more THURSDAY fun with the Unity design team. If you haven’t been hopping along, all the action starts on the Unity blog. There’s always fun stuff going on. LOTS of pretty things to see today. First up, I’m using one of the new releases from Angie Blom. She is a wondrous beauty. I didn’t touch my watercolors this week. Gasp. Instead, I brought out my trusty Copics. I tried the whole “highlighted” hair effect with this wondrous girl. Not quite there yet, but not too bad for my first attempt. Just need a little more practice. Don’t the flowers look cool? For a second, I wondered if someone hijacked my card and popped them up. Haha. Just a lucky accident in my coloring skills. Next, I have a card with the newest Stamp of the Week. Who doesn’t love a cute pinwheel? That is all. Don’t forget to leave a comment on each blog today. We’ll be giving away 2 prizes from comments left on the participating blogs. Here are all the girls hopping today… just click on the next pretty girl in line. Love your work! And love Unity too! Beautiful work, perfect colors and elements. Unity has the best stamps. Great cards! I really love the design on the first one! I love your creation, tfs, the stamps are beautiful. Pretty cards! I love how you the put the pinwheel on its side! Fine job with the Copics, Lisa! Both designs are marvelous! That pinwheel on it’s side is too darling…very clever. The wondrous card is well wondrous! I like that you show us all the goodies you use to make a card. I love the pinwheel card. So cute. Lisa, you did an awesome job on the cards – always love to come here for some inspiration! Wonderful coloring on the lovely lady, and the pinwheel is so much fun. I’ve been trying to make 3-D pinwheels and love the stamp. Thanks for sharing. What are you talking about? You have mad coloring skillz! Both of your cards are fantastic! Love the clean cut look of these cards. Gorgeous colouring on these! Beautiful, both of them. So much beauty. Love these. Both of your cards are great. Love the colors you are using! Both your cards are so cute. Thanks for sharing. 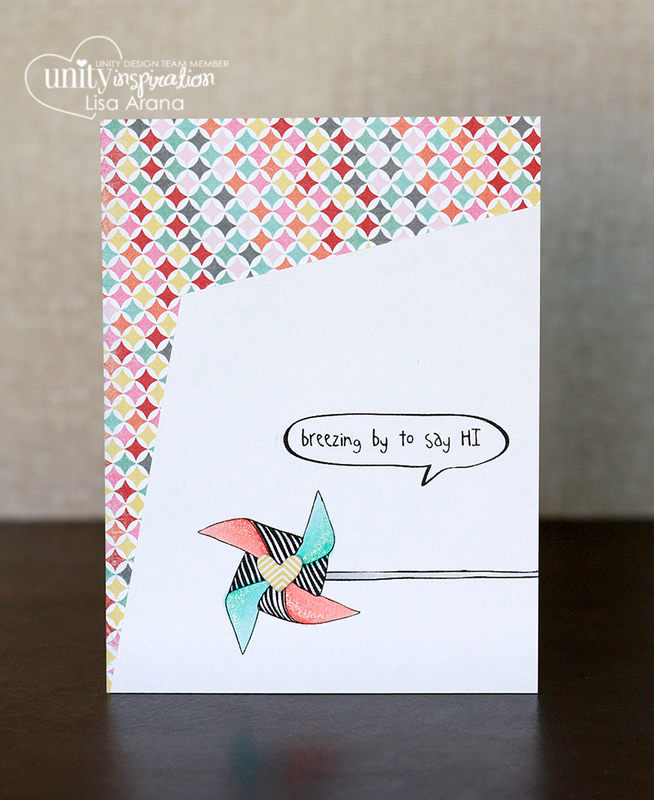 Beautiful image on the first card and fun pinwheel! Great cards, Lisa. Lovin’ the new SOTW! These are both fab Lisa! Pretty cards – love the coloring. Wonderful projects! Fun new stamps! Love your designs, the white space make the stamps really shine! Beautiful projects!! I love how you used the images. Very pretty…love the musical background! Cute cards. Every time I see that pinwheel, I can imagine cutting it out & adding it with a brad/eyelet to make it spin 🙂 Looks like such a fun image! Great job with the Copics. The hair looks really good and I thought that the flowers were layered! Sweet card designs too!